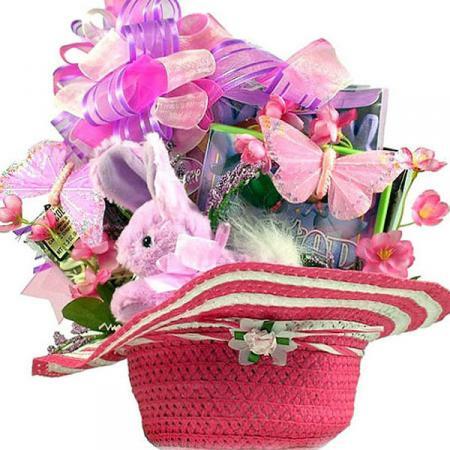 Let the Easter parade begin. 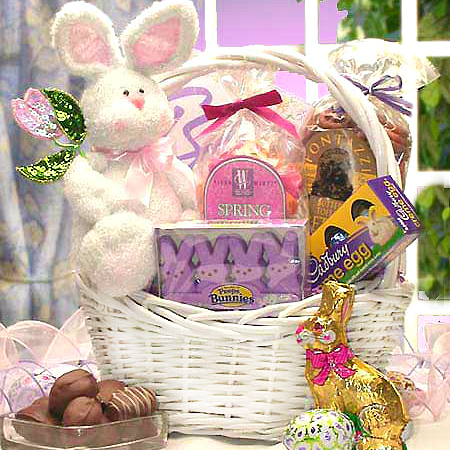 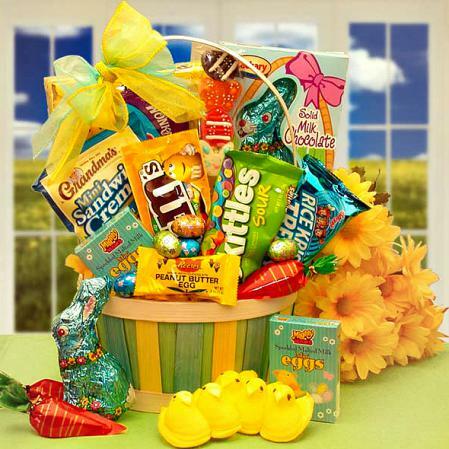 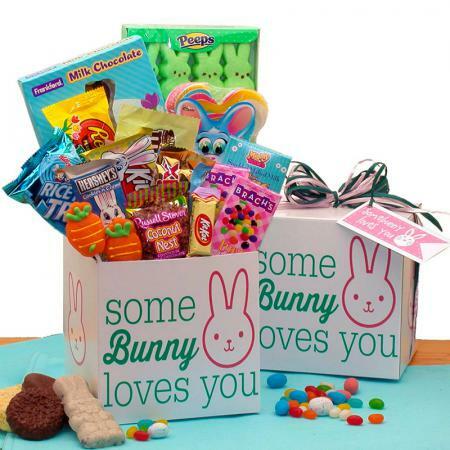 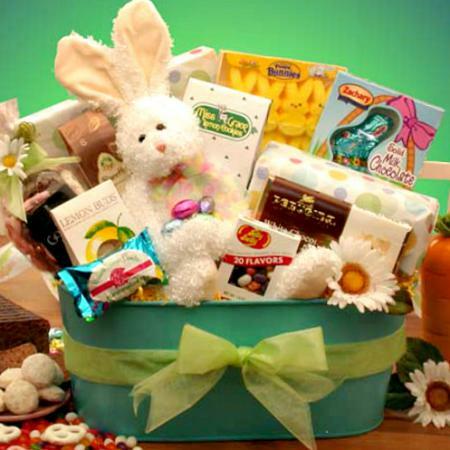 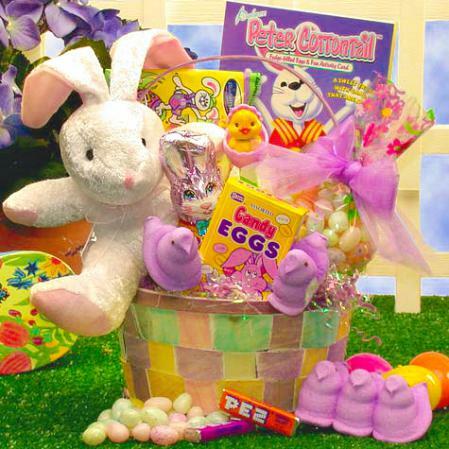 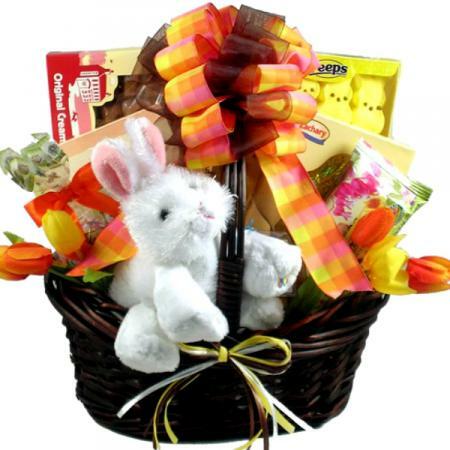 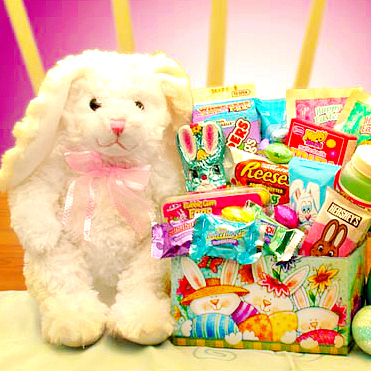 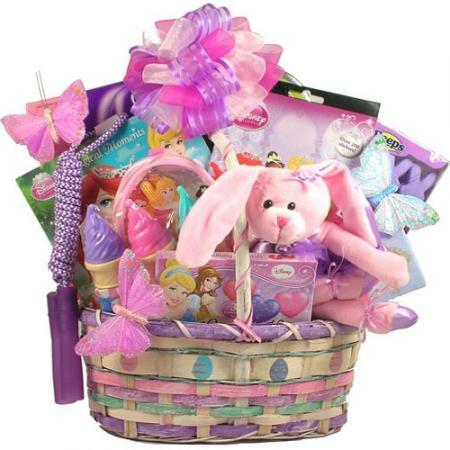 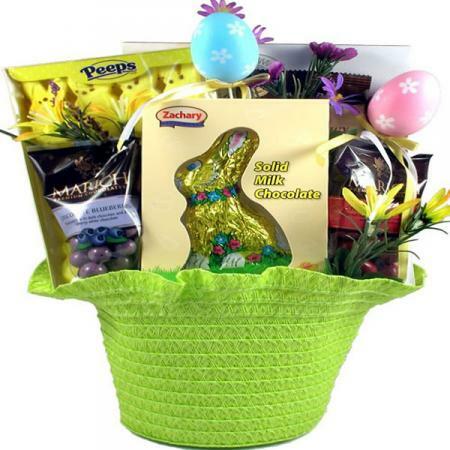 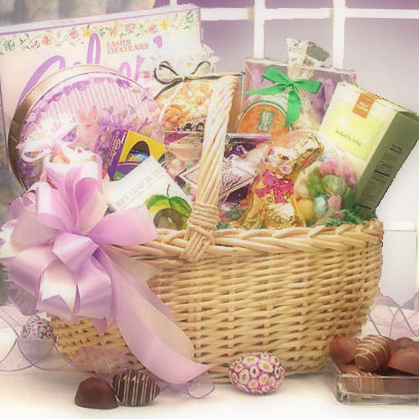 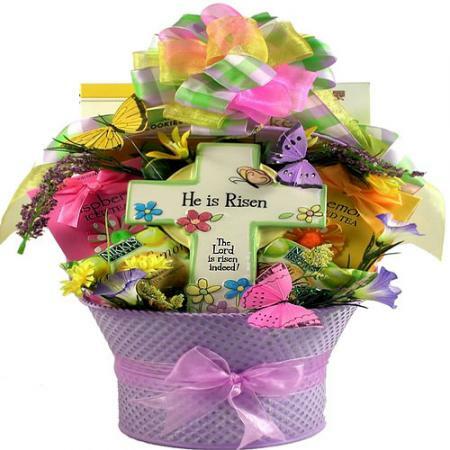 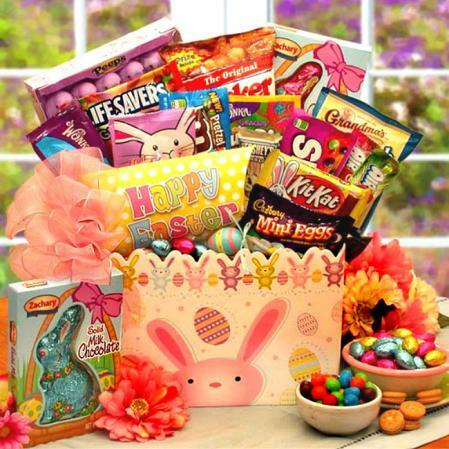 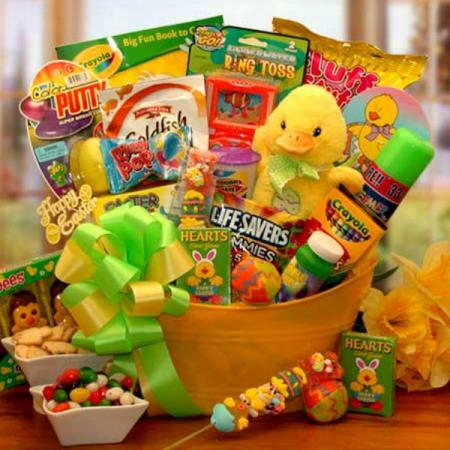 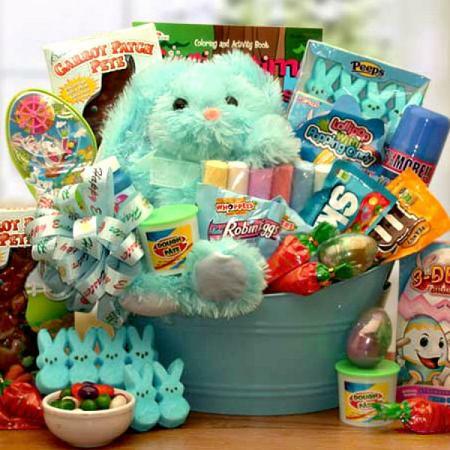 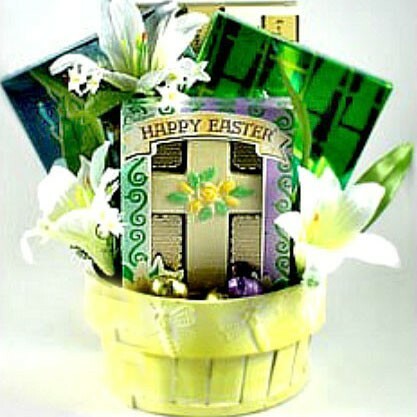 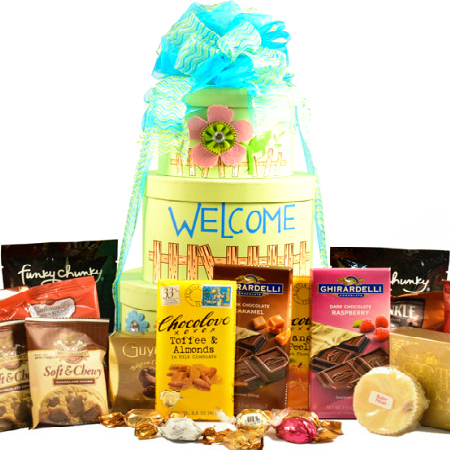 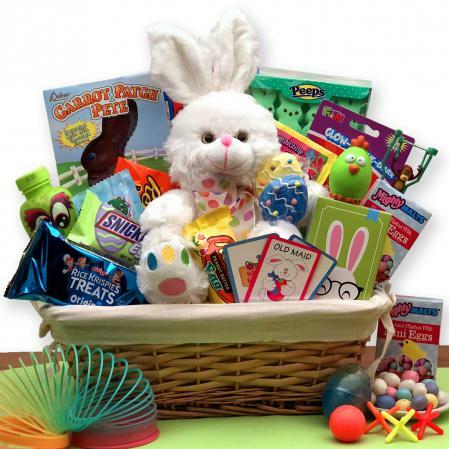 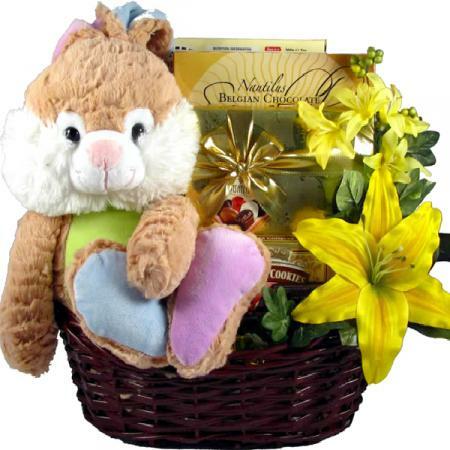 Send this Easter basket filled with sweets, treats, bunnies, cookies, chocolates, fudge and more! 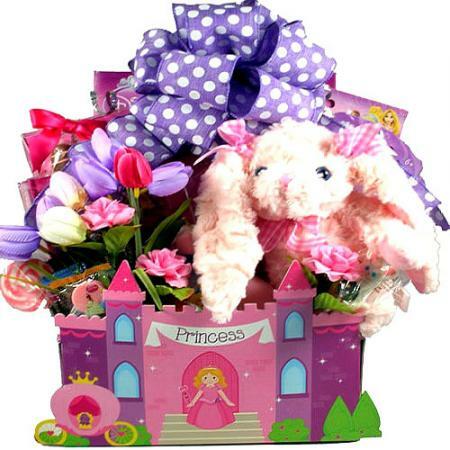 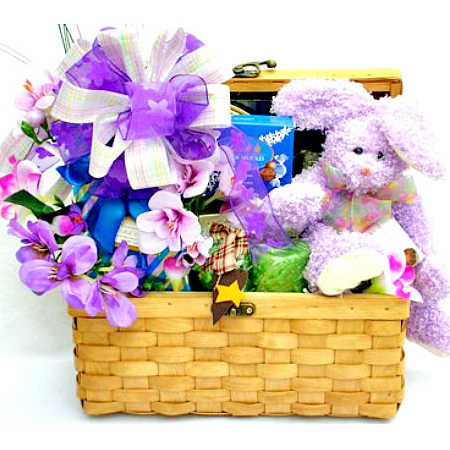 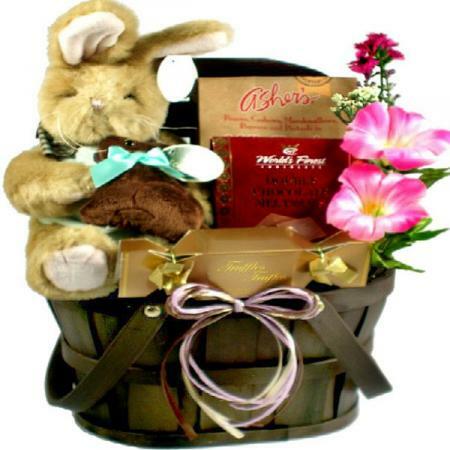 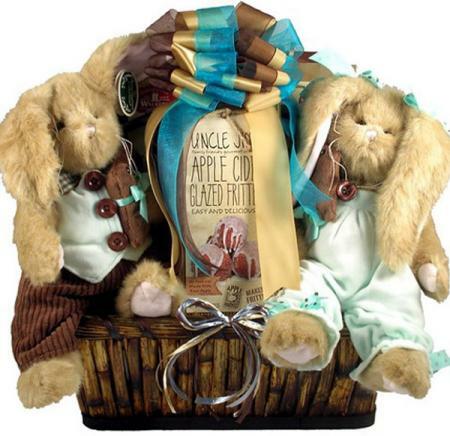 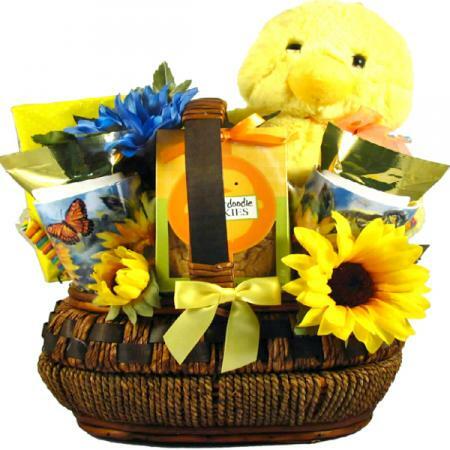 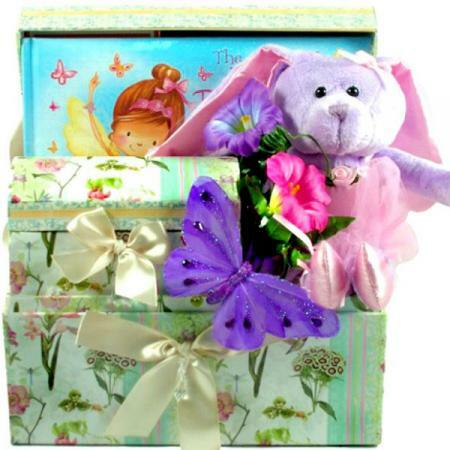 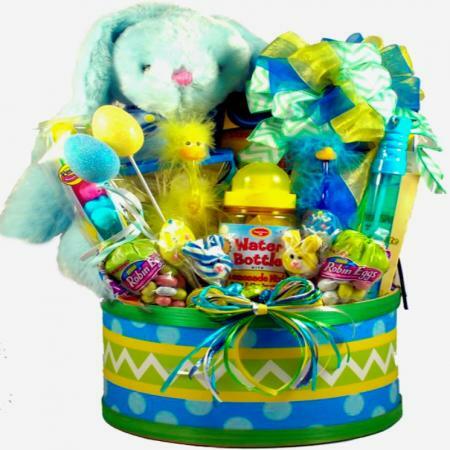 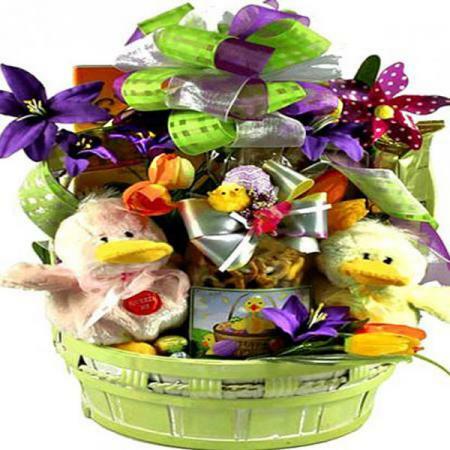 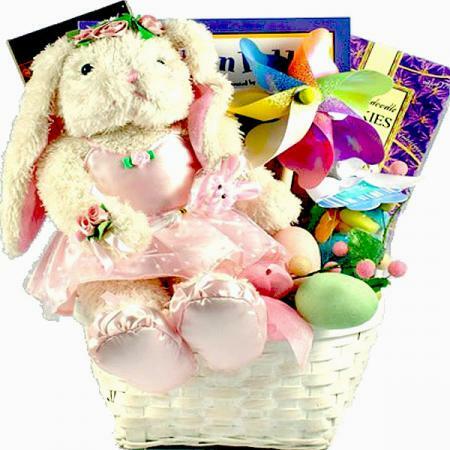 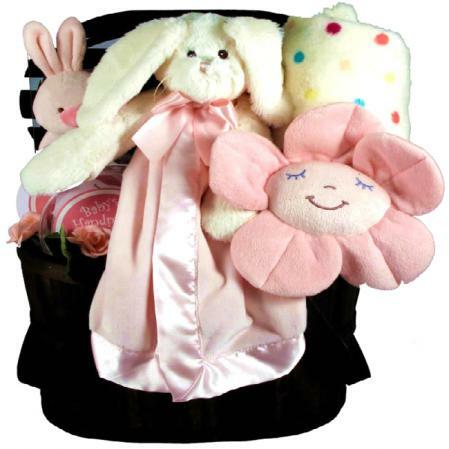 Easter Parade gift basket features a beautiful gift chest filled with an endearing plush Easter bunny that is as soft as can be and just too cute for words! 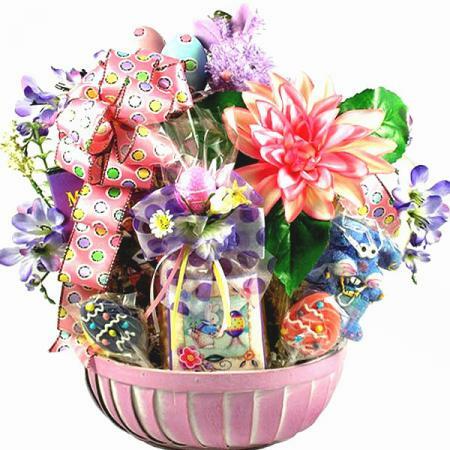 This irresistible Easter gift collection of sweet treats and goodies is artfully arranged and adorned with silky designer ribbon and stunning springtime silk flowers to create an incredible presentation that is sure to Egg-sight them this Easter!